 Tomah Area Credit Union is committed to protecting the privacy of our members. Tomah Area Credit Union is committed to protecting the privacy of our members. In general, you can visit us on the World Wide Web without disclosing to us who you are or revealing any information about yourself. There are several areas, however, that will collect certain information about you and we want you to know how we handle that information. If you visit our web site, Tomah Area Credit Union collects and stores information on the domain you use to access our web site, the Internet address of the site from which you linked directly to the site, and the date and time of your visit. This information is used to measure the number of visitors to the various pages on our site to better serve our membership. Tomah Area Credit Union does not knowingly collect, maintain or use personal information (from our web site) about children under 13 years of age and our web site is not designed to attract children. If a child, whom the institution knows to be under 13 years of age, sends personal information online -Tomah Area Credit Union will only use that information to respond directly to that child, notify parents, or seek parental consent. If you send an e-mail, Tomah Area Credit Union collects and stores personally-identifying information in order to process your e-mail, form or application. This information is not sold to any third parties. Due to the volume of e-mail activity, these messages are deleted after they are answered or completed. If you visit a secure site, such as online banking, you will be asked for personal identification numbers which will give you access to the member only section of our web site. This information enables Tomah Area Credit Union to regulate entry to the member only portions of our web site and to measure member usage. Any identifying information gathered is not sold to third parties.